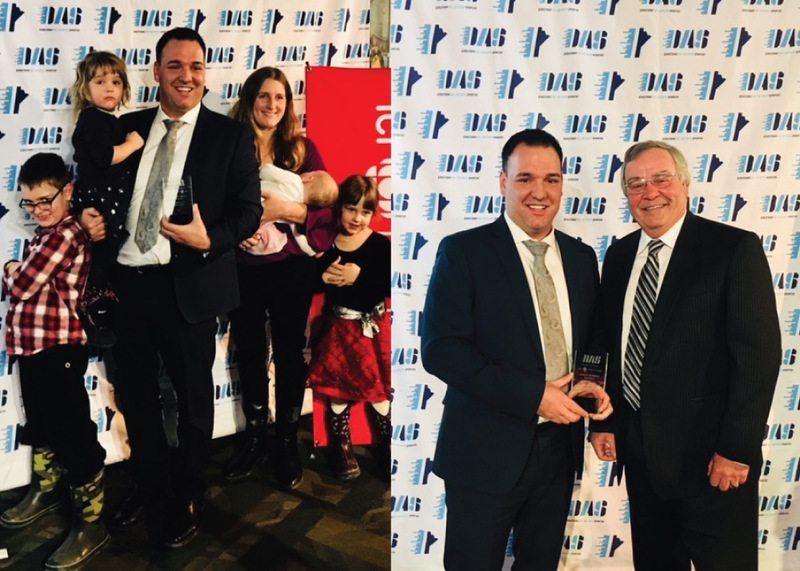 The DAS (Directorat de l’activité Sportive) and ICI Radio-Canada Manitoba hosted their awards gala on January 25th 2018 at the Sports Manitoba Building in Winnipeg. Rob received the Excellence Award in the Visionary Category and was extremely grateful to celebrate this prestigious honor with his family and friends. Rob gave a speech at the ceremony and talked about his younger days of playing sports in La Broquerie and how it had an extremely positive effect on who he is today. Always deeply involved in the local sporting activities, Rob is regarded as one of the top leaders in the Saint-Boniface and Francophone community. Rob is seen taking a picture with his wife Michelle, son Alexandre, daughters Arielle, Angéline and Aubrie. The other picture includes his father Claude. Head of the Tetrault Wealth Advisory Group and Portfolio Manager & Senior Vice-President of National Bank Canada, Rob shares with Wealth Professional his take on interest rate hike in Canada in 2018. Rob was asked to give his take on the Cannabis sector in the Canadian Securities Market. Vice News published an article in January 2018 featuring Rob, Portfolio Manager and Senior Vice-President of National Bank Financial. Investing in the marijuana market has been a hot topic as of late, seeing share prices of pot stocks sky rocket with some listed companies experiencing triple digit gains in 2017. The Tetrault Wealth Advisory Group is very excited to have started a new YouTube show for our viewers. Straight Talk will aim to deliver the hard facts, transparency, and insights on the Financial Investment Markets, Geo-Political Activities and everything & anything about Portfolio Management. On this first episode, Rob gives his take on the Canadian government’s proposed tax changes. Topics including income sprinkling, passive income, capital gains and individual pension plans are all on top of mind for Canadian business owners in 2018. Rob is awarded the #2 position on Wealth Professional’s List of Top 50 Wealth Advisors. Another successful year in the books for Rob and the Tetrault Wealth Advisory Group in 2017. Rob took the 9th position on Wealth Professional’s prestigious list of Top 50 Wealth Advisors in the 2017 edition and improved his ranking to #2 in 2018. 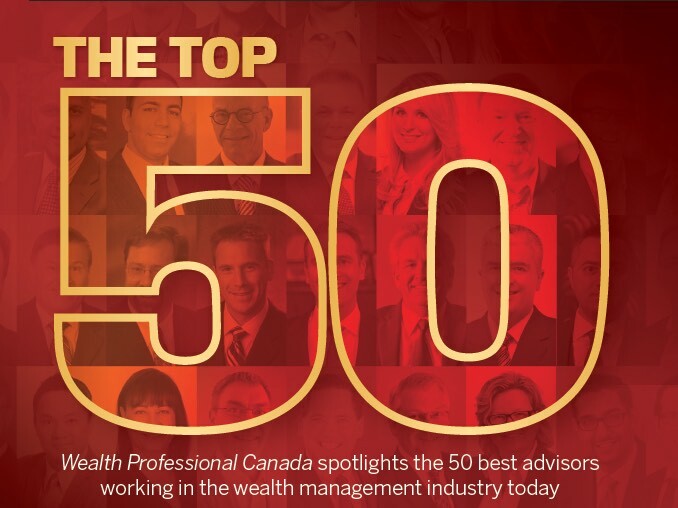 Wealth Professional’s Top 50 list ranks the greatest financial planners and investment advisors from Canada’s best wealth management firms. Handling over $340 million in assets under management in 2017, the Tetrault Wealth team more than doubled their AUM in the last 12 months. This recognition is a testament of the hard work put in by the Tetrault Wealth Advisory Group as well as the loyalty of their clients. Click here to download the PDF copy of the full report by Wealth Professional. The Canadian CMV Foundation is proud to announce that its 6th annual Western Canada’s Largest Winter Outdoor 3 on 3 Ball Hockey Festival, Le Classique will be held on February 9th & 10th, 2018 at Whittier Park (Grounds of Festival du Voyageur). The tournament is widely recognized as being the most important sporting event on the winter calendar in Manitoba. The tournament is the Canadian CMV Foundation‘s largest annual fundraiser and has allowed them to continue funding CMV vaccine research. Since its first year, the tournament has continuously grown at an impressive pace by adding teams, divisions and activities to the weekend, and this year is no different. This year will feature 5 divisions (novice, competitive, corporate, women’s and Co-Ed), will host a huge social on the Friday night and children’s activities on Saturday afternoon. The weekend is a fun filled affair with activities for all ages. As Chair of the Foundation, I couldn’t be more excited to be hosting the sixth year of this great fundraiser. Le Classique is really what started it all for our wonderful foundation. When Marc Foidart and I started this event 6 plus years ago, we knew we wanted to host a community event, we knew we wanted to throw a party, but at the same time, we knew we wanted to raise money. The Canadian CMV Foundation is the result of all that hard work. This year, we’ve set the target at $75,000. In its relatively short period of existence, the Canadian CMV Foundation has had some remarkable successes. In 2016, the Charity doubled its endowment fund, grew its Medical Advisory Committee Nationally, joined forces with the Global Network of CMV Foundations, gained significant traction in its effort to enact legislative change and started planning for the first ever National CMV Summit. Congenital Cytomegalovirus (CMV for short), is a debilitating congenital birth defect that can cause serious disease in babies who were infected with CMV before birth. It is the #1 cause of infant disability in North America, with about 1 in 150 children born with the condition. For more information on congenital CMV, you can visit www.cmvcanada.com .